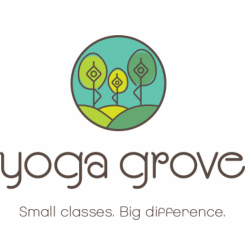 Class Fees and Prices - Yoga Grove - Small classes. Big difference. You may purchase a drop in class here, or when you register for a class. * Seniors (ages 60+) save 15%. Register with us as a senior - ID required. You may register for an Absolute Beginner Yoga Series here. Note that you may now share a 5- or 10- class passes with other people. With one of these class passes, you may sign other people up for classes under your pass. This is not applicable for a 1-month unlimited pass. ​You may purchase a class pass here, or when you register for a class. To review the terms of our membership contracts and to sign up for a membership, follow this link. This membership is valid for all regular adult yoga classes except restorative. Restorative classes may be attended, with an added $6 + HST surcharge per class. * Seniors (ages 60+) Contact us to join as a senior - ID required. This membership is valid for all adult yoga classes including restorative classes. To book a private or semi-private session, please contact the studio. To book a private beginner package, contact the studio. To book a restorative with massage class, sign up for your preferred date. * Seniors (ages 60+) save 15%. ID required for validation.